W.R. Smith, Inc. is dedicated to the complete satisfaction of our customers. One of the many things we have in place to enable our great customer service is radio dispatched trucks. What does that mean for you? 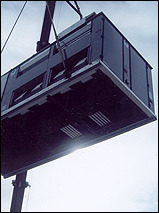 It simply means that we can get in touch with our technicians wherever they are in the Paramount area. No unlistened to voice mails or misplaced cell phones. W.R. Smith, Inc. is a Paramount HVAC contractor giving our customers the timely response they deserve! We start by offering the latest in air conditioning, heating and indoor air quality technologies featuring York® products for top of the line efficiency and performance. With a reliable HVAC product foundation, we then really pay attention to your needs. Our recommendations for you are specific because all customers are unqiue. When you receive HVAC advice from this contractor, it will be centered around what is best for your specific air conditioning, heating or indoor air quality requirements! Next, our professional, radio dispatched installers are experienced and equipped to do things right the first time. Did you know that a poorly installed system ends up costing you money in higher utility bills? Do not make the mistake of purchasing efficient equipment only to have a contractor learning the ropes on your install do a bad job! 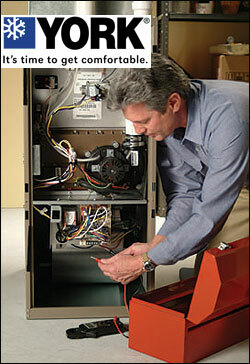 Finally, we protect the HVAC investement our customers make with optional preventative maintenance plans. tune-ups, seasonal preps, filter changes: We help you enjoy efficient indoor comfort all year long! A well maintained air conditioning and heating system is able to run at the efficiency levels it was designed to which means you save money. Thank you for your interest in our HVAC services. We know that once you experience the quality and fast, radio dispatched service from W.R. Smith, Inc., you won't look anywhere else to keep your home comfortable!